I’ve been blogging for about three years now. And one thing has become pretty obvious. The blogging community is not only different than social media, but it is also better. Bloggers are readers. Most writers are. I’m willing to bet almost anything that no matter how many WordPress bloggers you have, they read what you write. It’s because they find reading enjoyable. It’s also because they want people to read what they’ve written as well. Social media doesn’t always yield readers. There have been times when I’ve commented on a person’s post, only to realize s/he hadn’t fully read the link themselves. Bloggers reciprocate activity. If you read, like and comment on their words, then they’ll probably read, like and comment on something that you’ve written too. There’s a shared experience that invites empathy. Writers know the painstaking task of finding just the right phrase to convey just the right message. It can take hours! Consequently, if you took the time to write it, then a blogger will take the time to read it. Seemingly, the quick culture of social media, coupled with an imbalance of newsfeed updates from all several hundred of your social media friends and followers makes it difficult to reciprocate reading/liking activity. Bloggers post thoughtful comments. Similar to number two, your blogger-followers have probably written, deleted and re-written their comments to express like, love and support for your posts. Sure, some only use the “like” button, but more than not, your blogger-followers have sought thoughtful words to communicate their feelings about your content. Social media friends and followers do not always seem to honor the “thoughtful” part of commenting. Whether it’s the use of text/IM language or the more recent and popular posting of memes as communication, social media comments just don’t seem to be as considerate or attentive. What did I miss? Do you enjoy social media better than the blogosphere? < Previous Monday Notes: Where Does Your Power Lie? I agree with your points. We write and we read others’ writings. It’s all enjoyable. Writing is therapy for me! Agreed – it can be therapeutic for sure. This is so true. The blogging community is so supportive and civil. I’m truly proud to be a blogger. Alot of other communities tear people down our community does the opposite. I love it! Side note: how do you repost previous posts? I see. I always wondered why I saw posts pop up on my feed that I had already read and liked with hundreds of likes and comments on it. At first I thought I was crazy but then I would read the comments and they would predate the post haha. Blogging allows more interaction. I prefer blogging. Agreed. The connections seem more genuine. You are part of the reason blogging is better than social media for me. I can’t count how many times you’ve graciously disagreed with me, and I appreciate both the thoughts and the attitude. Blogging is emotional in many ways, but it is not emotional outbursts. While I recognize the limitations, I consider many of my “blogging buddies” to be friends, and I value those friendships. Awww thanks Belinda! That many huh? lol Seriously, blogging has helped me to politely disagree with others because rarely am I looking for some online argument situation. I like how you differentiate between “emotional” and “emotional outbursts.” This is important. Lol. Not THAT many. But I always know you will be straightforward yet gracious, putting respect first. Looooovvvvvveeeee this!!! So true! This community is so supportive and conducive to growth. oh yeah, this strikes sooo true. Plus, a lot of the people who liked and left a comment here are also regulars either in my blog or on the blogs i follow. it’s a tight community, though there are communities inside this larger community, like the writer/reader/poetry, the photographs/travel, the food and health eaters and so on. I have a toe on most of these groups, as i have different tastes and hobbies, and i know, and read, a lot of bloggers who share the same. I’m glad to hear that! This is true. Blogging is easier to have a niche community, as opposed to the others, which brings all these like-minded people together to really just be supportive and spread love. It’s truuuu!!! I enjoy blogging world more whenever I just sit and start reading and commenting on bloggers. I start getting ideas on what to write and am like “this is gonna be good” 😂😂 it such a beautiful and engaging community out here. This makes complete sense. I even find myself slowing down to make sure I comment appropriately. I too went off social media in favour of the blogs. It is hard to say something in snippets and have snippet convos. I didn’t want my name flashing in neon either. This is the place if your intent is to simply share. Go to thejobblog.net and to the blog page. There is much there. Sorry my blog and reader aren’t the best of friends. I’m working on that. If you like what you see, the best way to have my blog posts show up is to enter thejobblog.net into your managed sites. Voilà! That’s a good way to put it Joan. Maybe that’s why it feels more comfortable. I agree! I also find interactions on here (generally) less superficial + more meaningful. I certainly feel more connected with folks on here vs, say, Twitter. Totally agree. In fact, I feel as if I know people here more than the ones I “know” in real life. There’s no pretense. I agree with you on all counts, Kathy. For bloggers who are willing to take the time to read and comment on other blogs they follow, special connections can occur, as in my experience. My experience on Facebook, in staying connected with old friends from Guyana and Brazil, was negative. Too much junk news to filter through. Wholeheartedly agree. Except Whatsapp, I do not have much experience about social media. Therefore I can’t comment about that. What you wrote about blogging is true. Thank you. I’ve used Whatsapp briefly when I was in contact with someone overseas. I’d say that one is okay. I chose blogging over facebook because of its interactive nature. FB seemed so one directional. I agree. It’s completely about that person and his or her views, life, etc. lol – me too. They each have their own strengths, I guess…like I’ve recently started loving IG because there’s little conversation. LOL – all of it? I admire people like you, especially ones who are not on FB. It sounds crazy, but I think it takes incredible strength not to participate in any of it. Honestly….it’s not really strength. I just don’t want to learn the platforms. But….I’ve been told when I finish my book I’m going to need to increase my presence. You’ve been told right. I suggest picking one you actually might like. Ha. Does cave painting count? Yes, blogging is better if you are trying to truly communicate. I find that bloggers are much more interested in sharing positivity. I use Twitter as a tool to market my book and to help others do the same. I do find, however, that Twitter is not necessarily the nicest place on the internet. People are liable to say anything. I am wondering also, do you blog on a smartphone? Most definitely Elva! Twitter can be negative, but I’ve also noticed it can be filtered a lot more than other social media sites. I only read and comment via my phone. Otherwise, I’m on a laptop or desktop. I am brand new to the blogging community! I have long since deleted any social media accounts to my name. I would say you’re absolutely correct! I couldn’t agree with you more! I love how you pointed out about the reciprocating/shared experience, I definitely relate there, being new here and all! Thank you so much for sharing this!! I actually like the blogging community of WordPress better, however, my referrals to my blog, come 90% from Facebook. People shift too much through Facebook. At times I think it is for those who don’t have a large attention span (like me at times). I tend to agree. FB seems to be in between Twitter and blogging. Oh no, I got that one too. I’m reading it now. Very accurate post! People actually read, relate and discuss the content on blogs. And others on social media just retweet or like links to blog post, w/o reading and finding out the purpose of the post lol + social media can be toxic. The blogging community tends to be more intentional, which is more fulfilling- imo. Thanks for this! Just read this and reflected it was nice to see you jumping in to tackle the subject of which angle is better. Whether one is better than the other, it was interesting to see from some of the comments you got how people feel (and how often they cheer for WordPress!). 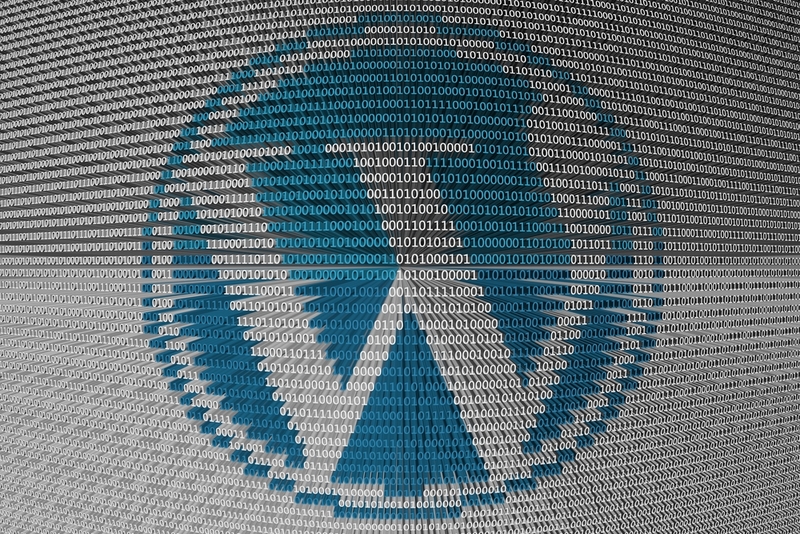 Good luck with your WordPress narrative, and maybe you will persuade a few more of your readers that you were right all along (that WordPress really is better). I value both approaches. lol – thanks for stopping by, reading and commenting. It seems that I didn’t have to do too much convincing for many bloggers. Each one has its benefits and challenges, I suppose. I just love coming to blogs and seeing people I know in the comments section lol. Makes me feel like my whole family is connected and I didn’t know lol! This post and these comments make me happy. Whenever I’m away from the blogsphere, I feel like something is missing! i understand what you mean. There are days when I’d rather be blogging than holding small talk with people in person. I find the blogging community to be a much more meaningful experience. This is a billion percent true. i just told my sister the other day that i have met realer people through blogging than I have in real life. Lol. Most definitely! That’s cause we’re over here pouring out our hearts and souls and listening to others do the same. That’s the stuff that “real” connections are made of. Thanks for stopping by luv! True indeed! This is some what in response to a comment that you made on my post! We are being and sharing our authentic selves and for other people from different parts of the world to relate is (I can’t think of the word LOL). I agree that blogging is much better than social media. I created a Facebook account 6 months ago (I know, I was late lol!) and would post long messages, only to receive a couple of “sympathy” likes from family members. I have only been blogging since April but I wholeheartedly agree with everything you wrote in this post. The responses I’ve received from this amazing community have kept me motivated to write more. And, the connections I’ve made mean a lot to me. Reading, learning and getting inspired, what more can a person want! However, I’m still struggling with not being able to pay a visit with all my followers (yet)…or the ones I do follow not being able to read all of their posts. This is such an amazing post.You are so right! I completely agree. I never imagined when I started blogging what a wonderful, generous community it would become. lol – never thought about the posts hanging around longer…I’d have to agree. You can always find someone’s post! Totally agree about Twitter. Tweets are literally gone in seconds! Personally, I prefer blogging. For one thing, I find it easier to read and comment on posts because they tend to hang around longer. I also find Facebook intrusive and difficult to use. As for trying to comment on tweets, that’s much like being a small dog barking at cars as they whizz past. They’re here and then they’re gone. WordPress is the place for me, definitely.